I give up, i completely give up with your pointless, and unaffordable argument. It is obvious to me that at this point you're just poking at everyone's nerves just so you can get a giggle out of it. You show no respect to those who are playing the game for fun. You keep going at the majority of other people's problem and indirectly call them "losers"(for lack of a better term) by making, what at this point it looks like you're doing, fun of those that go on with a loadout and the wolf shows up to ruin their day because, again, 6% is not a justifiable number to have a loadout against him. We've had our backs and fronts at each other and through this debate I've reconsidered the option of lowering his tankyness to just put him in a specific place where people can just encounter him there and nowhere else so that their game isn't ruined. Yet you show absolutely no respect to anyone else's claims and opinions except of your own. From now on I'll just completely ignored whatever you have to say, your opinion is still of course valid, but your insipid attitude towards everyone else who shows a clear disdain towards this bad approach of game design makes it hard for anyone having to agree with you. This is an argument that its suppose to be taken seriously for the sake of future gameplay, and you're just here to throw salt at people's wounds, I pray that I never, ever have to read an illegit and straight up ridiculous comment from you ever again. Good day. Are you serious right now? The whole thread is the majority of people complaining about how he shows up unannounced when they're completely caught off guard. As of today's patch, I am unable to roll out of Limbo's banish. I also got permanently banished, it would never run out even if i used operator mode in and out. If needed, i can upload the video. Anyone else is experiencing this? In our previous talks we were talking about how the irregularity of the wolf spawns does not justify to pick a specific loadout just incase he shows up, you seem to disagree on my take which is fine. My problem is that you specified a place where you encountered the most (so no, in no where that I say that you claim that hydron is where he spawns the most, I just said that you insist on going there to mainly kill him, and leveling up your primary and focus second.) So... you're taking a fully leveled up warframe, melee, secondary, and companion (likely a kavat), and only your primary to level up. That's hardly the "one backup weapon" loadout that you insist people bring on when they do hydron. Most people who do it take everything unranked except for 1 thing, be it melee, warframe, secondary or primary, only a small amount of people I've seen take nothing to contribute to the table and thus rightly become leeches. 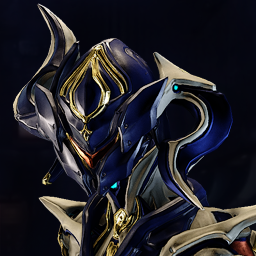 While you rightly point out that Hydron is at the tail of the system and thus no one that goes there (except people who get taxi'd, that you once again rightly pointed out.) 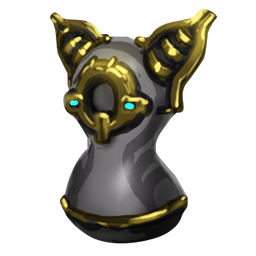 is a total noob, the wolf is considered to be End game material, and Hydron is very far from being end game, in fact I see as low as MR7 people going there. Having a Boltor prime loaded with crit and rad build is NOT THE SAME as a Rubico prime built the same way, people may not have a hard time to take down the grineers but they'll have a hard time taking down the wolf, which is the whole thing I'm trying to prove. And apparently you didn't read what you quoted just as well... Look, at this point I'm not frustrated debating with you, this is turning out to be a good conversation that shows 2 complete different perspectives (while seemingly going at each other's throat.) You're not the only one that goes to Hydron to mainly look for the wolf, many other people do on the rumor(not saying that you follow said rumor) that he spawns mostly there. People point out that he spawns mostly there because people go to Hydron the most. If the wolf could spawn in SO/ESO, I can guarantee you people would make threads and edit the wiki line saying that he spawns in SO, it's just a matter of perspective. I'm very well aware of the concept of RNG, I've played games with RNG worse than this and after finishing High School I understood how probability works, sometimes it favors you sometimes it doesn't. The whole point wasn't to prove that he doesn't spawn at all, it was to show you how in just 10 runs, which can easily go up to 1 hour, you can accomplish nothing due to his low spawn rate. Mind you, some other guy could've done the same, went for 10 runs and the wolf appeared on all 10 of them, though the former is more likely to occur with his 6% spawn rate, that's just how probability works. It's quite sad as to how we're reaching this point of the debate and you decide to cheerfully ignore my past train of thought and go ahead claim that I don't know how probability works, and thus calling me stupid. There's no need for such hostility. Except you claimed that you only bring 1 thing to rank and the rest is fully ranked, ready to take down the wolf and the grineer with them. See, I knew from the moment I read this that you were awfully wrong, and I decided to waste 1 hour of my life to actually make sure of what I'm about to state and not just to sound like a crazy person. Back in the days Hydron was known for its crazy easy farm (Excalibur, Excalibur, Trinity, Excalibur/trinity/Rhino). So I decided to do 10 missions there on Hydron and ask people what they were doing there. Wanna hear the results? In 8 games people were doing Hydron for leveling up. In 1 game people were doing it to hunt the wolf In 1 game people couldn't answer me... don't know why, kept asking them, maybe english isn't their forte. Higher MR or lower, you're actually expecting people, in this one place that you apparently insist that's where the wolf spawns the most, that bring stuff to LEVEL with to be on par with your efficiency to take down the wolf when most of them are probably there to not do that in the first place. Oh, and in fact, yes I could use your argument. There are many places where people can farm exp, hydron just happens to be one the easiest places to do so, and you keep going there to hunt the wolf with the likelyhood of finding people with little to no good equipment due to the fact they're leveling it and/or bring fast paced/Aoe frames to clear the map faster to farm focus as well. If that's the case, why are you "restricting" yourself by intentionally playing in a place where people bring bad equipment? Also my metaphor was justified, because you never specified a single place where the Wolf would spawn the most prior to what I wrote, and thus making your metaphor more accurate with your sudden (allegedly)placement of the boss... you know, like every other boss that pose a challenge are, in their respective place in different planets. PS: In those 10 games you know how many times the wolf spawned? 0 times. So I didn't level up anything, because I brought my cutting edge weaponry to take him down, I didn't get any resources that I needed, and I didn't get any of the few remaining weapons that I needed to rank up in mastery. 1 Hour of my time wasted for nothing. Invincible while punching, 2 golems that take away aggro, somewhat decent CC. Sure beats the hell out of most I can think of. The problem with Nyx is that she's been nerfed one too many times, + her abilities aren't useful at all vs corpus and void due to the gombas and the nullifiers. Grineers? yeah sure maybe, even though the colateral damage of the napalms and the bombards is a pisser to deal with, + she has the lifespan of a church mouse inside a hobo's mouth. Then you can't just call him the worst just for that, you're obviously just trolling at this point. Yet, again the reason you're calling him the worse is only possible if the player playing it is a complete knob. True. Again, it circles back to having to equip said tools for a very narrowed chance of a specific encounter to happen in the first place. It's like taking an excavation equipment to your school everyday because you've the feeling that one day it might come in handy to use it when the school collapses and some of your classmates are stuck underneath. True. People who actually insist that a godroll riven is the only way are talking out of their asses obviously. Facts over feelings, that's what I've been doing though. I had quit this thread for a while hoping that the minority of people that like bullet sponges such as the wolf would at the very least understand and consider mine and many other people's views. Let me put it this way: Would you react negatively if... say Occulysts, Junction Warframes and, while we're at it, John Prodman would be added to the random chance pool of spawning in any mission you'd play? My guess would be yes, because most of the time it'd be a tedious fight with no satisfying reward due to the fact that you picked a specific loadout for a specific enemy that didn't show up. And bringing the argument of picking "A weapon for everything" only fuels my point further due to the fact you're just a boring husk that plays the game just for the sake of playing, not to have fun. That being said however, I shouldn't judge in the first place what fun is to someone. Some people like to go out with girls, some like to wash the dishes, some like to deal with bullet sponges enemies in game and some like to stick dog turds up their noses while their parents watch it. My point, and probably the majority of the people as well, is that the wolf is just a chain reaction of problems, each one just making the other worse. - Nerfing his health bar and armor? That would fix it but then it'd become boring, and just another regular boss. - Weakpoints for general use? That'd prove to be interesting and a fix for the whole ordeal. - Making him spawn in one place or through something in a guaranteed way and that way only? Definitely the best fix, and everyone would happy. Both the majority that complains about their encounter with them and those beef jerkys that say they were blindfolded, were underneath a surgery and making a sick 360º with their skateboard and killed the Wolf in less than -5 seconds. If people would then join a party to go face the Wolf in the specific designated spot to fight him and complain that he's too hard I would be all on board to redirect those people to a nearby info booth on how to beat him. It'd be the whole 4chan threads thing: "I went into a thread that was titled with stuff that I hate and I came out angry. How could this happen to me?". There are simple solutions that can fix things and please everyone. Also to the gentleman who shunned someone's opinion, choose to actively ignore it and then told everyone to stop reading his posts, that sounds like authoritarian propaganda to me but ok.
Gotta say, this is the finest critique I've had, to the point i was hesitant on the whole thing you were pointing out and only to end up fully agreeing with you. However, progression in this game is already bad in my opinion. You start in a relatively weak planet and you proceed to go onto the next one that is.... weak as well. The new enemy progression through levels is well done in my opinion, but I think the level scaling doesn't prepare anyone for future events such as arbitration, ESO,Exploiter Orb, etc etc. But now that you mention the notion of progression, why not make a gild system for the weapons as well? I'm pretty much shooting this idea into the air without much thought, but how about when you first adquire the weapons they'll be in a sort of "prototype" stage, just like the MK-1 weaponry, and once they're lv 30 they automatically evolve into their real, true stats in full glory. I'll keep that in mind in the future, thank you kindly mate. Speed Nova(in the wrong missions/loadouts), Flashbang nova (now patched), Bouncing Vauban, Wormhole Nova, FPS breaking Mirage. You clearly haven't played the game enough yet to see just how evil people can be and/or played with other frames with a certain loadout.